Get a head start on your Christmas sewing and build some piecing skills at the same time! 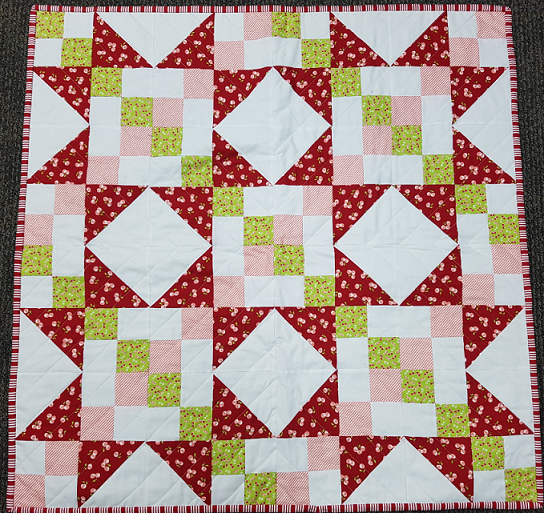 This beginner class will cover the basics of half-square triangles and four-patch squares, which can be used in so many combinations to make a variety of quilts. This is a skill builder class aimed at fairly new quilters who want to expand their knowledge and abilities. This table topper finishes at 32” square. The class is for the top only.